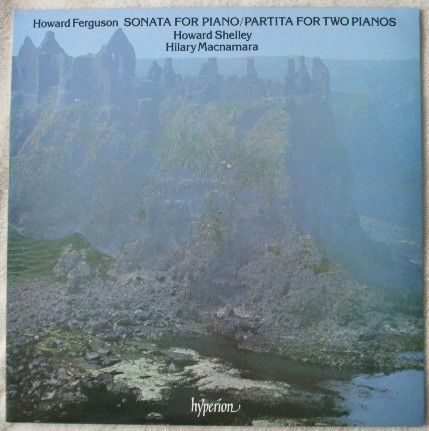 33rpm LP Record of Howard Ferguson SONATA FOR PIANO AND PARTITA FOR TWO PIANOS featuring Howard Shelley and Hilary Macnamara on pianos. It was issued on the Stereo Hyperion Records label in 1984. German pressing. Catalogue number: A66130. The record itself is graded better than excellent, with no visible surface marks when viewed under normal house lighting. Play-tested on a USB turntable. Superb sound quality, with NO jumps, ticks, pops or crackle. More or less faultless playback. The outer sleeve is graded excellent with virtually no wear. The spine is intact and strong with no loss to the lettering. The inner sleeve has no wear to speak of.